In December 2017, we hired Registered Dietitian Nutritionist Sarah Huber to be our first-ever Nutrition Manager. Her work in the short term has been so meaningful that I asked her to share highlights in bullet point form so I could share them with you. The intersection of health and hunger is huge for our clients and you are making this possible. Coordinated recipe demos and nutrition/culinary education with various community partners at Gleaners’ on-site food pantry. Developed and distributed nutrition education handouts and recipes highlighting healthy meal-making options at our pantry, and also shared them with our agencies, schools, and community partners. Worked to maximize the nutritional quality of our food program menus, including distributions for seniors, CARE mobiles, BackSacks, and summer feeding programs. Performed a nutrient analysis of the BackSacks menu to ensure the food provided helps support healthy growth and development in the children we serve. New menu items were also assessed for ease of use and taste-tested by children. Executed a nutrition education program to teach children at select summer BackSacks sites about healthy eating and trying new foods. 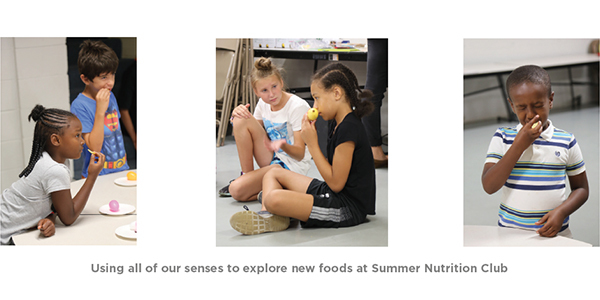 Contributed monthly “Spotlight on Nutrition” posts to Gleaners’ Food for Thought blog. Website enhancements highlighting nutrition initiatives and related resources will be coming next year. Participated in a number of collaborative groups focused on improving community health: Top 10 Coalition, Hendricks County Health Partnership, Healthy Communities of Jefferson County, Partnership for a Healthy Hamilton County, and others. Increased communication with health care organization partners to promote community health through improved food security, nutrition, and access to affordable health care. “The food we consume fuels our bodies and our brains; it helps a child develop and learn, and it ensures adults succeed and are productive in the workplace,” says Sarah Huber, Nutrition Manager for Gleaners Food Bank of Indiana. 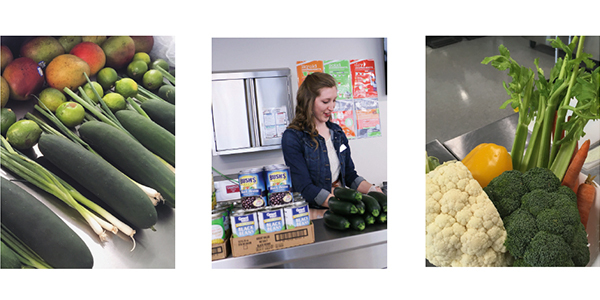 Through our nutrition education initiatives, food insecure families learn how to shop on a budget, incorporate more fruits and vegetables in their diets, and cook nutritious meals with foods from the food bank. 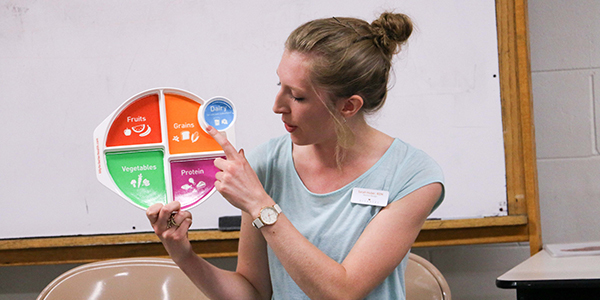 Sarah has great plans going forward including developing toolkits and workshops for partners and sourcing food for dietary and cultural needs while promoting nutrition. We have taken meaningful steps to positively impact the health and overall well-being of those we are privileged to serve. Because of your generosity, lives are being positively changed. Will you support nutrition initiatives in your community?